Last night I became my mom. And not like a little bit of my mom, a full on copy of my mom! 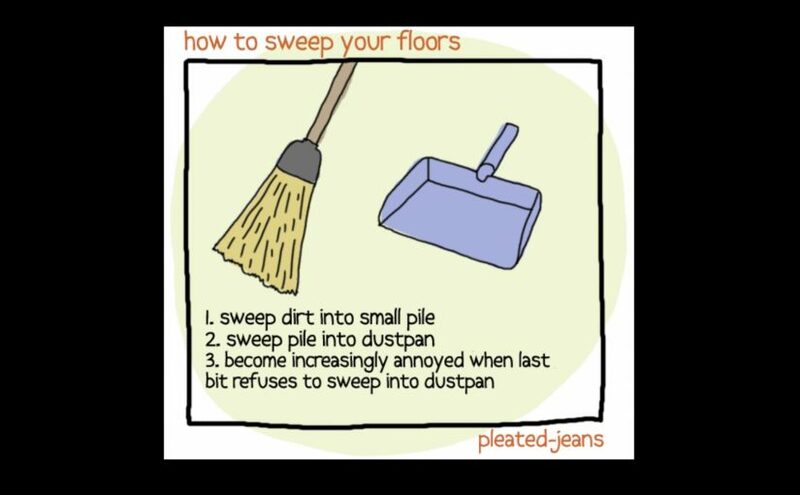 I swept my kitchen floor before I went to bed. My mom swept her floor every night before she turned out the lights and went to sleep. It didn’t matter if there was a hundred people in the house all day or no one in the house all day; she swept the floor. We would wonder why she insisted on this routine; even make comments there was probably nothing on the floor to sweep. She would tell us straight up “I will always find dirt to sweep up”. And she did; she always had a pile of it in the dustpan. Last night I was tidying before heading upstairs and something just said to me – sweep the floor. As I was seeing the pile of dirt start to collect I thought….mom would be so happy right now seeing her kid sweeping the floor. There’s a kind of satisfaction you get seeing that dirt pile….you have to try it to understand.